Bluegables Aloha Maverick. This guy would be one of, if not the best breed stallions in New Zealand.He has so many National supreme champions in his background. His Grand Dam is La Vista Little Miss Remarkable, Dam Bluegables Little Miss Olympia who was NZ National Supreme Champion, His Grand Sire is Scott Creek Monarch Magic who has sired more supremes & Gr Champions than any other stallion in NZ. 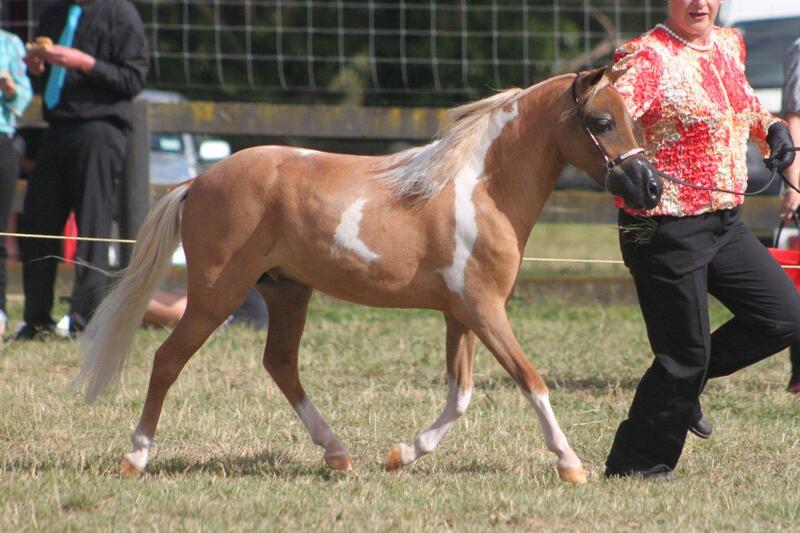 His full sister NZ National supreme & he is RU NZ National Supreme & NZMHA Grand Champion Stallion . His Sire Aloha a Gift Of Magic has put his trade mark on his offspring with those lovely refined heads that we are all striving for when breeding our horses. We have bought this boy in as we believe he will cross very well over our lovely leggy girls, he is very correct has lovely movement & is very alert with the most lovely fine mussel & short head.